Even though winter seems to be coming to an end the flu season in the U.S. is just starting to hit full stride, according recent CDC reports. According to Claire Wheeler M.D., integrative health expert, it is not too late for flu prevention which includes a flu shot. While this year's flu shot is readily available, most Americans don't take advantage of it. In a recent survey conducted by Harris Interactive for Sambucol Black Elderberry extract, more than half (56%) of U.S. adults report that they do not receive flu shots. Dr. Wheeler says that many people fail to do what is necessary to prepare themselves for the flu. "Unfortunately, many people, especially those who haven't had the flu in a while, tend to minimize the seriousness of this virus and its symptoms, and even more important, tend not to focus on the prevention of it, not even getting a flu shot," she says. •Get vaccinated now. It's not too late! The elderly, the young (six months to 18 years old) and those with weakened immune systems are the ones most encouraged to get the flu shot, but most everyone can benefit from it. •Wash hands frequently. When in doubt, wash again, since viruses of all kinds can be spread with hand contact. It might be helpful to carry hand sanitizers that kill both bacteria and viruses, especially if you don't have time or a place to wash hands regularly. And, be mindful to avoid touching your eyes, face and mouth, where soft tissues readily accept invading viruses. •Build up your immune system. Dr. Wheeler says it's a no-brainer that we should all live a healthy lifestyle. But what exactly does that mean? Drink plenty of water, get as much sleep as possible - try for at least seven hours a day, particularly if you start to feel run down -- and eat a healthy, balanced diet filled with fresh fruits and vegetables. •Supplement your diet. Dr. Wheeler says that despite our best efforts at maintaining a balanced diet, it's safe to assume that we all can use a little help with extra antioxidants. Antioxidants are thought to be necessary to support your immune system to fight viruses, and black elderberries are unusually rich in antioxidants. She suggests taking Sambucol black elderberry supplement to help boost your immune system. "Black elderberry has twice the amount of antioxidants as blueberries and cranberries, and the black elderberry extract in Sambucol, specifically, has been clinically shown to help support immune system function," she adds. 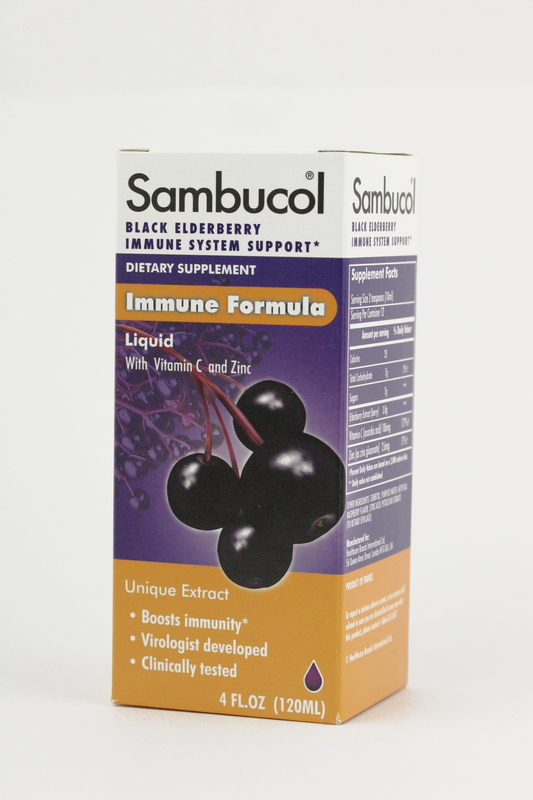 Sambucol® Black Elderberry dietary supplement is the original black elderberry extract developed by a virologist and researched and tested in published clinical trials showing it to help support the immune system. 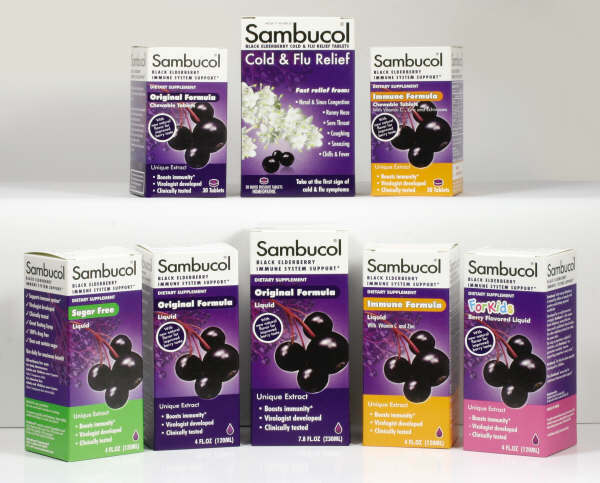 The Sambucol® line of products, manufactured and sold by Healthcare Brands International, is available nationwide at major pharmacy chains (Rite Aid, Walgreens and CVS)vitamin retailers(Vitamin Shoppe), health food stores, independent drug stores, and online at drugstore.com. Harris Interactive® fielded the study on behalf of Sambucol black elderberry from October 8-10, 2008 via its QuickQuerySM online omnibus service, interviewing a nationwide sample of 2,212 U.S. adults aged 18 years and older. Data were weighted using propensity score weighting to be representative of the total U.S. adult population on the basis of region, age within gender, education, household income, race/ethnicity, and propensity to be online. No estimates of theoretical sampling error can be calculated; a full methodology is available. Note to Media: For more information on the clinically-proven, immune boosting properties of Sambucol or to set up an interview with Dr. Wheeler, contact Rachahd Tosado at Robin Leedy & Associates, (914) 241-0086 ext. 15, or rtosado (at) robinleedyassociates (dot) com. 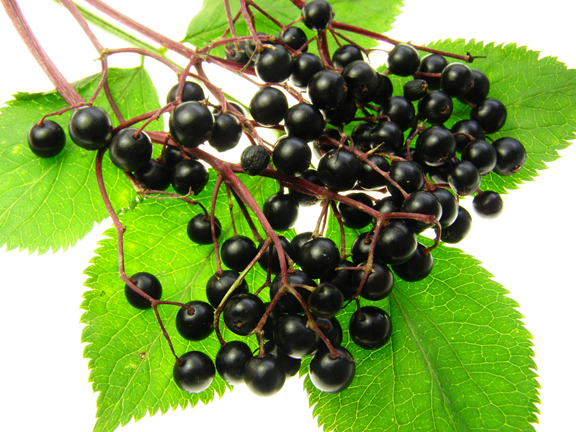 Visit the Sambucol online newsroom at http://www.corporatenews.net/cgi-bin/pc200v3.php?pccl=24859 and http://www.blackelderberry.info for published clinical studies on Sambucol black elderberry.